Be the first to share your favorite memory, photo or story of Barbara A.. This memorial page is dedicated for family, friends and future generations to celebrate the life of their loved one. Barbara A. Weber, 91, of Rock Island, died Monday, November 19, 2018 at the Kahl Home, Davenport. Services will be 11 am Saturday, November 24, 2018 at Wheelan-Pressly Funeral Home and Crematory, Rock Island. Visitation will be Friday, November 23, 2018 from 4-7 pm at the funeral home. Burial will be 1 pm Saturday, December 1, 2018 at Vinson Cemetery, Summitville, Indiana. Memorials may be made in care of South Park Presbyterian Church, Rock Island. Local arrangements have been entrusted to Owens-Noffze Funeral Home in Summitville. Barbara was born on September 30, 1927 in Summitville, Indiana, a daughter of Stephen and Myrtle Poindexter Elsworth. She married Erwin Weber on October 8, 1949 in Michigan with whom she had three children. They later divorced. Barbara worked as a loan officer for the former First National Bank, Rock Island, for 31 years. She was a longtime member of South Park Presbyterian Church, Rock Island, and member of the German Heritage Society where she was part of the Zither Group. She also participated many years with First Presbyterian Church’s Cover Girls, Milan. Barbara enjoyed gardening and was a phenomenal seamstress. 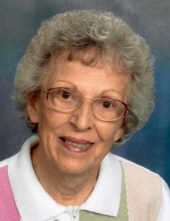 Those left to cherish her memory include her sons, Walter (Diana) Weber, Ft. Wayne, Ind. and Kurt (Kimberly) Weber, Davenport, Iowa; grandsons, Ryan (Daisy) Weber, Wimauma, Fla. and Laken Claeys-Fluegel, Davenport; and great-grandchildren, Leo and Solise Weber. She was preceded in death by her parents, son, David Michael Weber and siblings, Jerome Elsworth and Dorothy Mittendorf. To send flowers or a remembrance gift to the family of Barbara A. (Elsworth) Weber, please visit our Tribute Store. "Email Address" would like to share the life celebration of Barbara A. (Elsworth) Weber. Click on the "link" to go to share a favorite memory or leave a condolence message for the family.